Hello internet—it's been over a year without posting here. Seems like social media is everyone's blog now. Anyway, 3 new creatures. And hopefully I can maintain enough focus to keep this project going—first of my haiku + illustration project called Love Letters to NYC. This one is dedicated to apartment living. After many months of wanting to try my hand at creating a Blurb book, the opportunity finally arose this month when I was invited to participate in a special collaboration with them. I couldn't be more thrilled with the results. and wanted to share a few snaps of my book. I decided to go with a simple layout in the 8.5" x 11" book size so I could easily throw it in my bag for meetings. 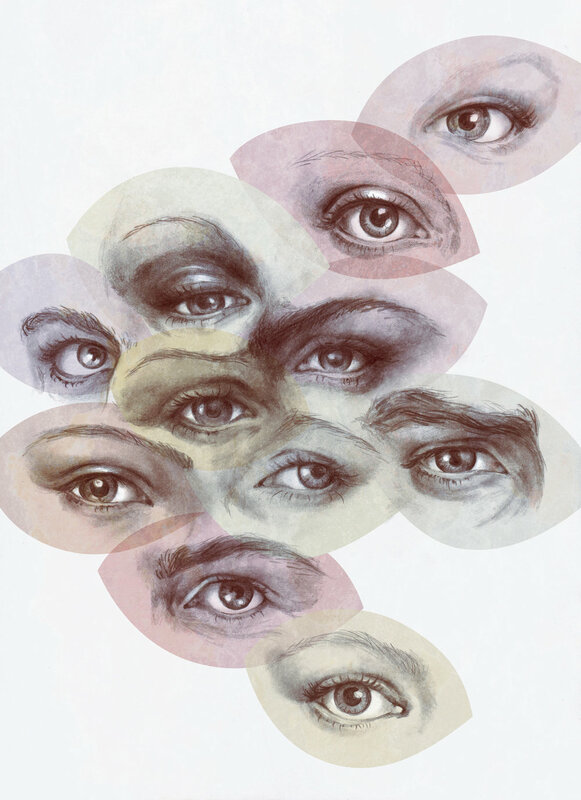 I went with a full image printed cover of my eye illustration, both front and back, which I think is my favorite part. I used black lead and end pages and the interior pages were a very simple 76 page layout mostly consisting of full page images, both a mix of client and personal work from 2009 - 2015. The whole thing was done with the Blurb InDesign plugin which couldn't be easier. I gotta say, this is a pretty excellent tool for artists and now that I'm hooked, I'm looking forward to making a new one for sale next year if you have any interest in some ZSO art on your coffee table. Thanks a million for the collab, Blurb. Woa, been a long time since I've been around here. Here's something new for The Monster Project. I was so excited to be invited to participate in this—what a cool idea. I've always been envious of kids and their fearless, truly free-flowing creativity. The Monster Project collects 100 drawings of monsters made by second-graders and then give them to artists to interpret and recreate in their style. I have to say, the original monster drawing by my kid was so amazing and I'm really not sure I did it justice whatsoever. :) I mean... malicious clouds, and cowering flowers? Blue hot shorts and a green top hat? Long wiggly noodle body with paddle wings, cat ears, insect arms, as it dances in the rain? It's just so, so rad. “When the mystery of the connection goes, love goes. It's that simple. This suggests that it isn't love that is so important to us but the mystery itself. The love connection may be merely a device to put us in contact with the mystery, and we long for love to last so that the ecstacy of being near the mystery will last. It is contrary to the nature of mystery to stand still. Yet it's always there, somewhere, a world on the other side of the mirror (or the Camel pack), a promise in the next pair of eyes that smile at us. We glimpse it when we stand still. In the meantime, here's some Tom Robbins. Had a fun time making this guy for Ford's Go Further campaign. Thanks & Reach and Team Detroit! Hi friends. Some old work has made it up as some new prints. 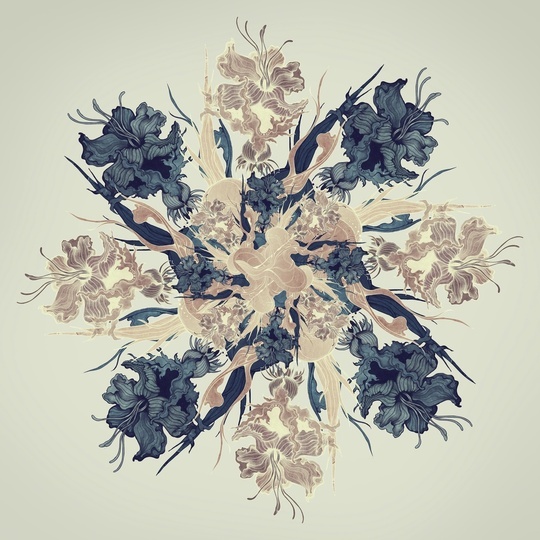 You can get these little square format kaleidoscope prints over at INPRNT now! I had so much fun drawing this crazy giraffe for Ford's Go Further campaign. A huge thank you to the wonderful folks at Team Detroit and to &Reach. Check out the animated version on Ford's tumblr. Pencil, ink, watercolor, & digital, 2014. You've been awesome, 2014. Happy Holidays, safe travels, and enjoy time with your loved ones. Bring it, 2015. You're gonna be awesome too. I started a new project called Love Letters to NYC to give free art to random people—or just get myself into trouble for littering. I'm making new single edition artwork with a short "love letter" written to New York on the back, and leaving it somewhere in New York City to be found. Whoever finds it can keep it, but I'm anticipating a fair number of them just getting rained on and blown into the gutter. That's fine too :) This is between me and NYC—it's kind of a diary I suppose. I hope these find their way into some new homes or trash cans and can provide a few smiles, moments of nostalgia connection, reflection, and questions. Here's the first one. Mixed media, pencil, marker, watercolor & digital. If you're in BK, swing by the Adaptations NY showroom. They have a beautifully curated selection of vintage decor, apparel, and homewares. You can also pick up the Tiger Scarf there. Limited quantities. Also available for purchase in the online shop. More experimenting and sketching for 100 Girls Project. I'm spending no more than a few hours on these latest ones as I really just want to get a bunch of ideas out quickly. Girl 21, mixed media and digital. Had some leftover neon yellow acrylic paint from another project I decided to try and get rid of, but in the end I decided to mute it. 'twas a bit too intense for a Wednesday afternoon. Been a while since I had time to just play around. For today's experiment I cranked out this fun odd little piece which I'm calling "Seeing Red." Seems fitting for an article about being pissed off, eh? Your vision goes wonky and you are clouded by evil red dagger eyes! A summer full of design work and an early fall with travel, I'm more than excited for a few months back at the drawing table, experimenting and fleshing out some personal projects that have been nudging me restlessly from the sidelines for the better part of the year. Starting out with some quick pattern tests. After about a week over the pond in London and Brighton I touched base in New York for a day only to head right back out for Camp Festival in Calgary by friends from FITC and Bram Timmer. When we landed Sunday it was a comfortable 70 degrees but by Monday it had dropped to 30, and what we thought would be a docile flurry turned out to be a full-on snow storm. "Snow in September!" was the incantation. But snow aside, it was a total blast—the weather only enriched the experience, perhaps only making it more "Canadian?" I really can't say enough good things about this event. Thanks for having us, Calgary. 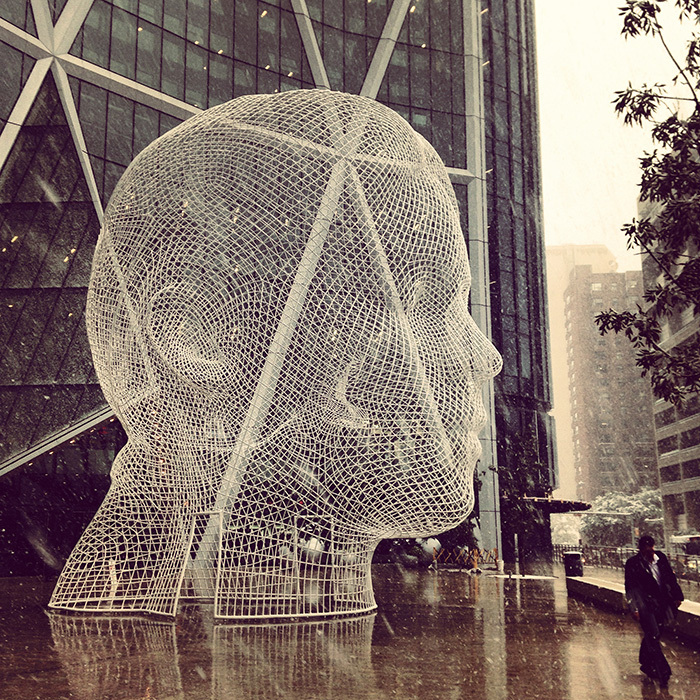 Jaume Plensa's sculpture outside the Bow and the beginnings of the September snow. A very big warm hug to John Davey and family, Dot Lung, and everyone else who made Reasons to be Creative possible again this year. And most of all thank you to everyone who generously gave me an hour of their attention, you rock. This was my second year at Reasons and I really love the family vibe it has tucked away in Brighton. Pals From Form did an incredible job on the titles this year—everyone needs to pay attention to these guys. They add the most charming handmade quality and care to everything they do ... Not to mention they are just delightful humans. I really slacked on taking pictures on this trip, but here's my lone snap of the pebble beach where I spent many an hour taking calm walks. Brighton, you're ok.
New piece, graphite & digital. Prints coming soon for new project. See you guys in Boston this September 27 - 28 for Design Exchange Boston's radical event hosted by AIGA! Come hang. I'm looking forward to hearing everyone's thought's around this year's theme of experimentation. Super stoked on my panel with some crazy awesome dudes and dudettes. Details to come!